Ko Olina is a set of little lagoons on the west side of the island. I actually wrote about this place in my very first blog post. I remember when there was just one hotel here (it has since been renovated and changed ownership), but now it has four hotels. 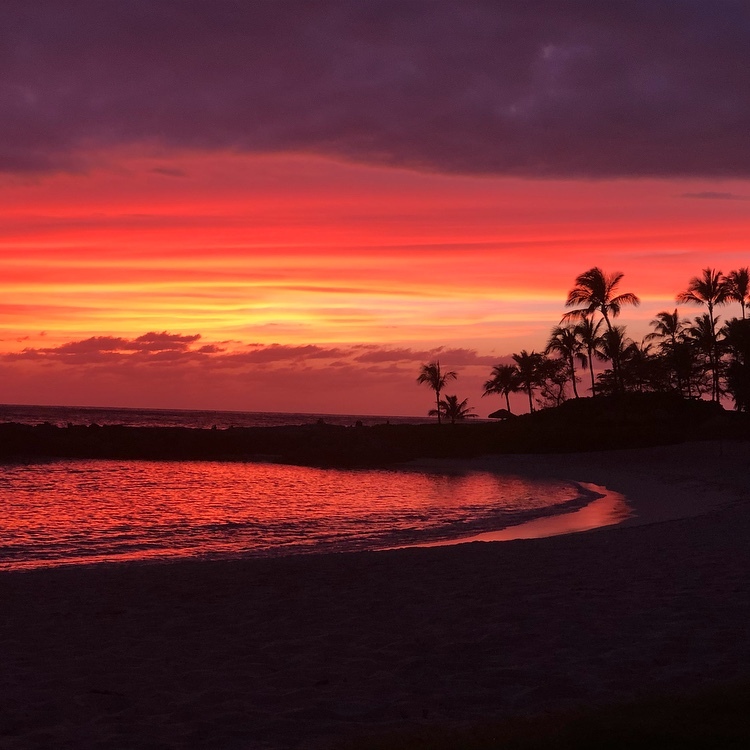 Now, usually, I’m against the touristy places, but I still think that Ko Olina is the best place to watch the sunset on Oahu. 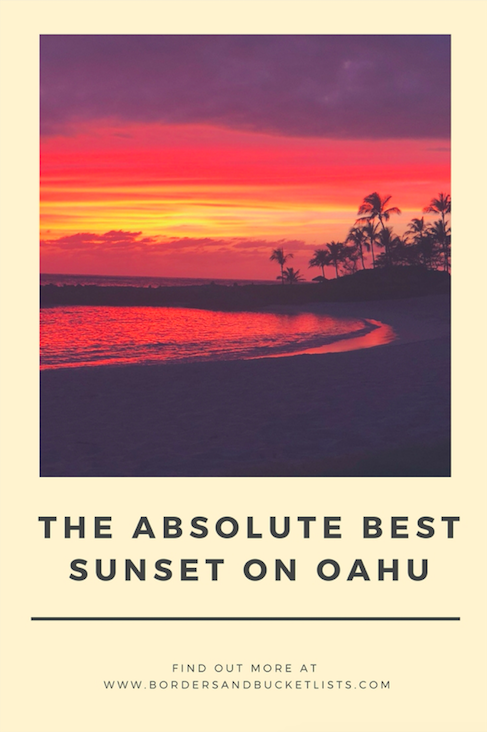 Why is it better to watch the sunset here than anywhere else on Oahu? Let me start with some facts. The sun always sets in the West. That means that the best view of it setting over the Pacific Ocean would be in the West. 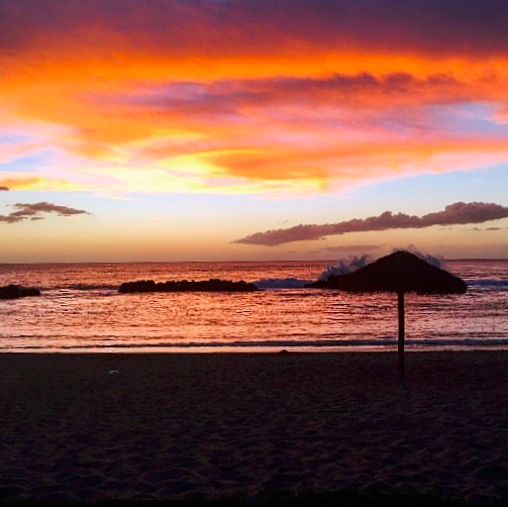 So on Oahu, that leaves two stretches of land: from Ko Olina to Makaha and from Haleiwa to Turtle Bay Resort. So why does Ko Olina stand out from the rest of these westward places. First of all, it has those picturesque palm trees that make stunning silhouettes. I’m very much a fan of those. Second, at Ko Olina, you have the option of having a shot with the sunset framed by the curved lagoon (like the one at the top of this post, which is completely unedited by the way) or a straight sunset shot (like the one directly above), depending on where you choose to sit (or where you choose to point your camera). Stay a bit later than the sun and everyone else. The beautiful, bright colors tend to come around fifteen minutes after the sun has completely set. Also, the parking at Ko Olina will say “parking lot closes at sunset” and will threaten car-towing if it’s not out of the lot by then. But honestly, I’ve left my car there are a solid hour after sunset, and no tow truck has ever come. Are there any other places where you have seen absolutely stunning sunsets? Write about them below in the comments! !